Head of the Catholic Church, Pope Francis is keeping up with the times. The 266th Pope of the Roman Catholic Church made headlines today, Saturday when he joined social networking app Instagram, gaining 325,000 followers (and counting) in two hours. 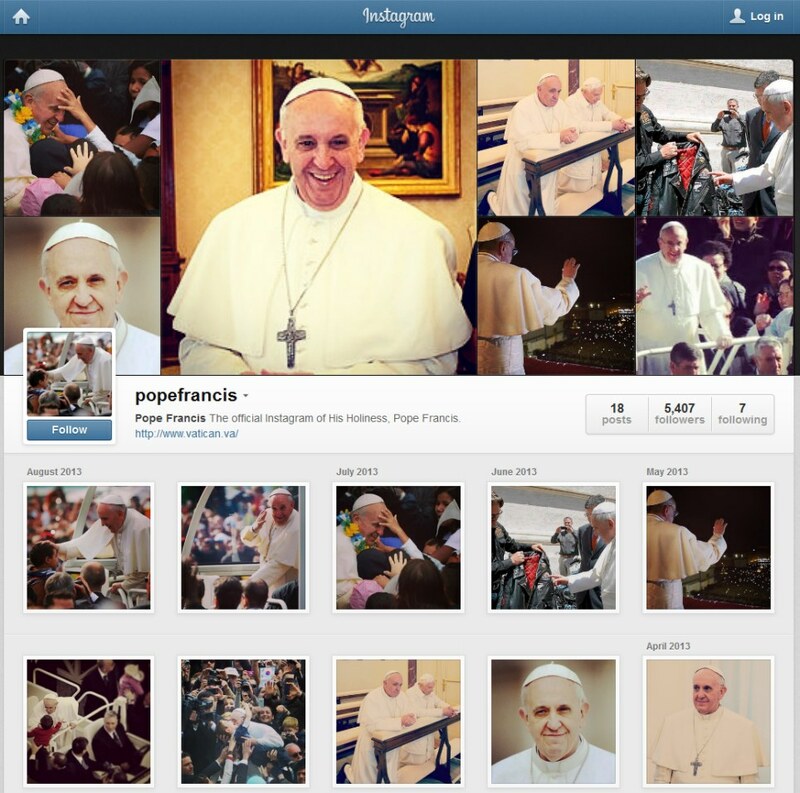 Instagram is the second social media channel that the globally-renowned Catholic leader has joined. In 2013, Pope Francis took over both the Papacy from Pope Benedict XVI and his Twitter account (@Pontifex), which has 8.89 million followers.